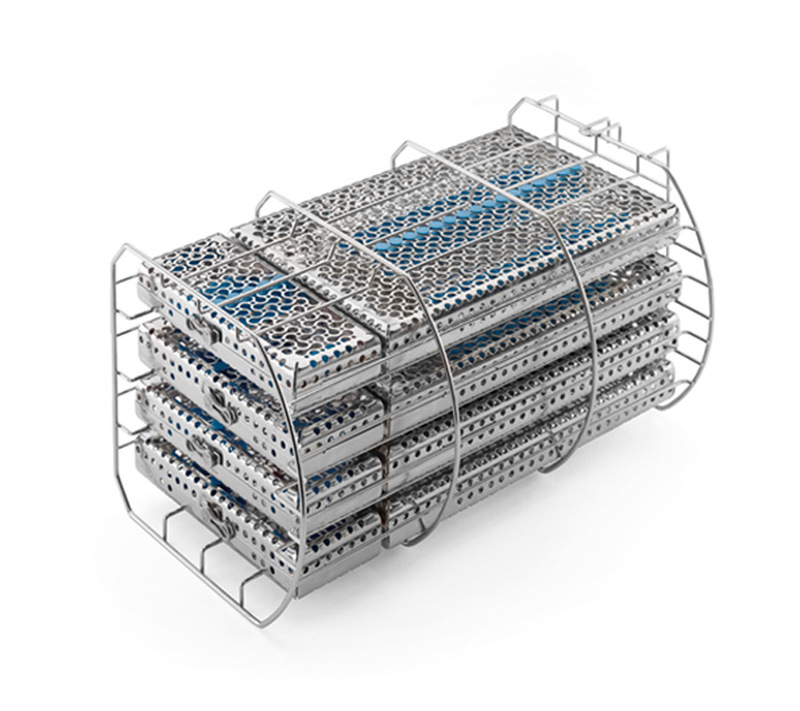 Rounded steel tray holder designed to hold 5 standard aluminium trays*. If rotated by 90°, it can hold 4 sterilization cassettes. Available for both 18-litre version (capacity: four 1 DIN cassettes) or 24-litre version (capacity: four 1 DIN cassettes + four 1/4 DIN cassettes). 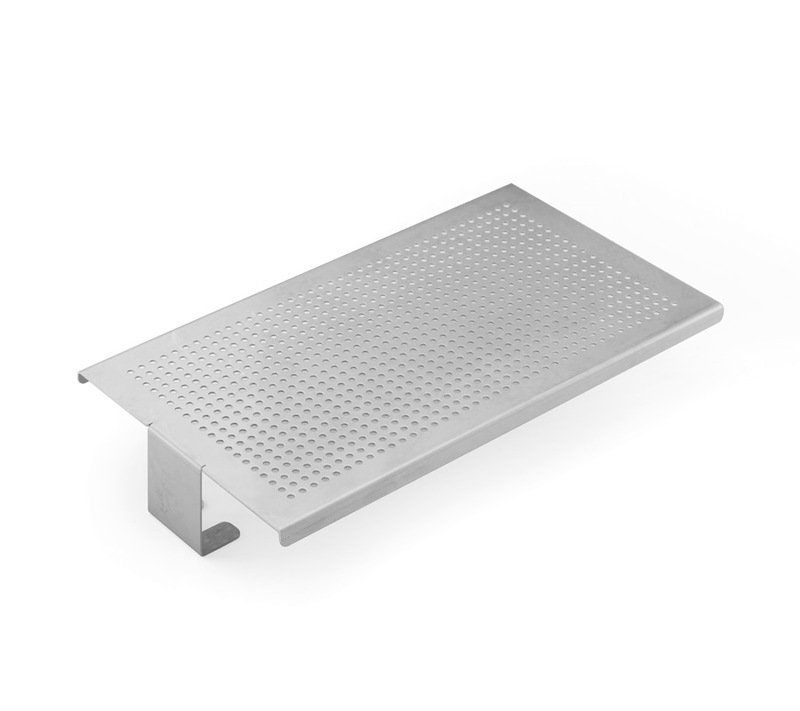 Rounded steel tray holder designed to hold 5 standard aluminium trays*. 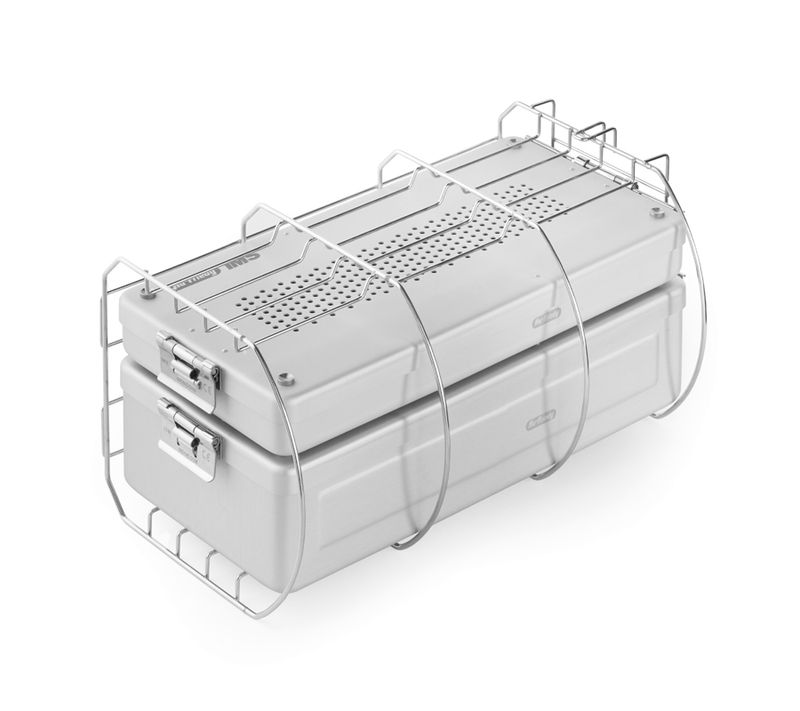 If rotated by 90°, it can hold one or more sterilization containers (maximum capacity: D = 380 mm L = 190 mm H = 152 mm). Only available for the 24-litre version. Rounded steel tray holder designed to hold 4 standard aluminium trays*. If rotated by 90°, it can hold 4 sterilization cassettes. Available for both 18-litre version (capacity: four 1 DIN cassettes) or 24-litre version (capacity: four 1 DIN cassettes + four 1/4 DIN cassettes). 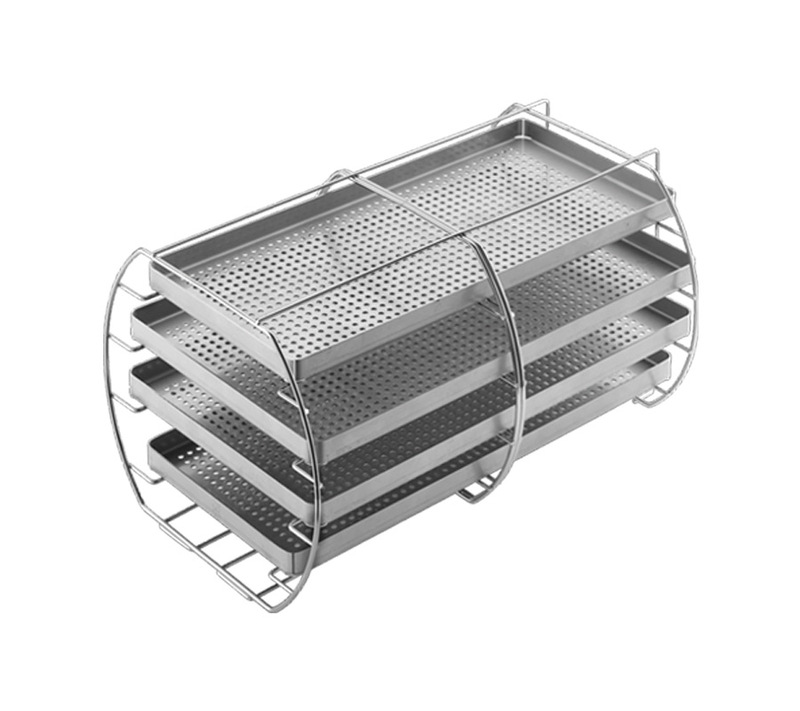 XL rounded steel tray holder, with a capacity of 4 special aluminium trays*. Only available for the 24-litre version. A steel support surface that is suitable for loads with greater dimensions. It can be installed directly in the boiler, after removing the tray holder provided. Only available for the 24-litre version. To be used in autoclaves and thermodisinfector. To be used in autoclaves.